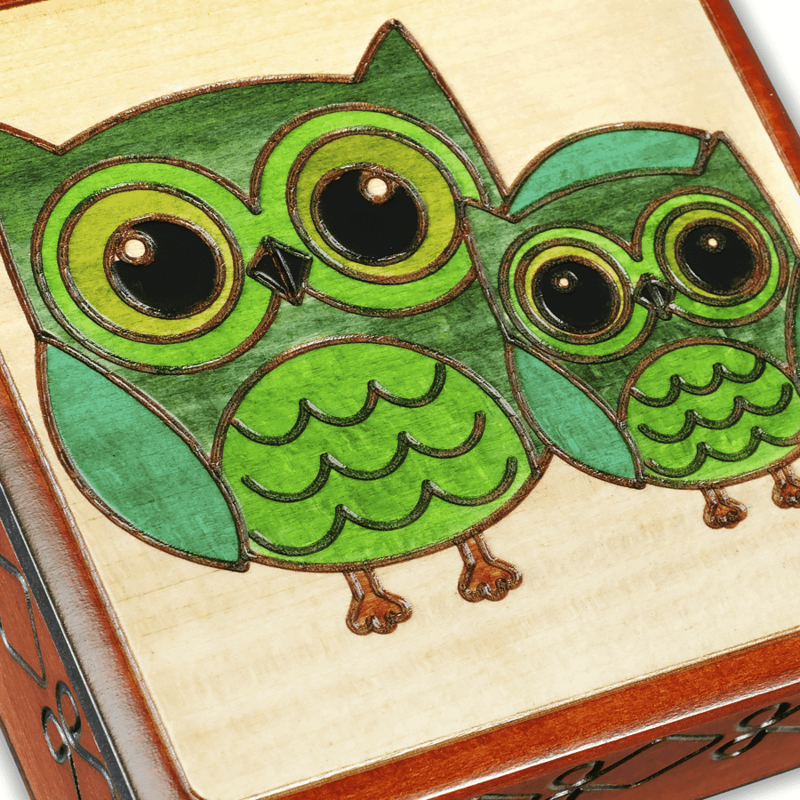 Close-up detail of our Green Owl wooden box. Part of our Owl Trio. A pair of owls, one large and one small, featuring four different shades of green and a lovely feather pattern on their tummies. They are getting ready for bed; you can even see a nightcap on the baby owl's head. 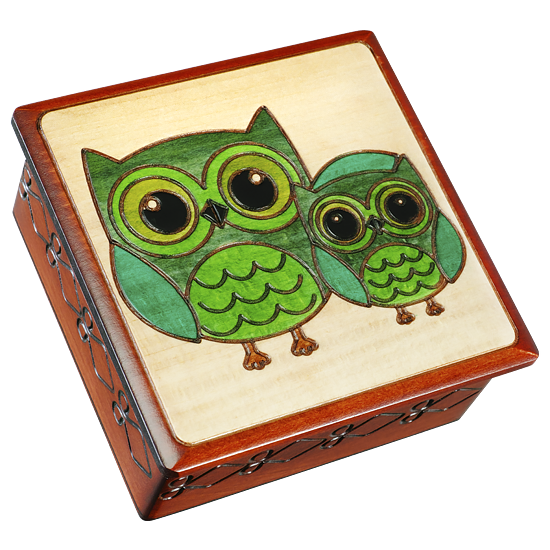 This owl box has a smooth, lightly beveled lid that extends slightly past the base. The sides of this box are ornamented with a classical diamond pattern.